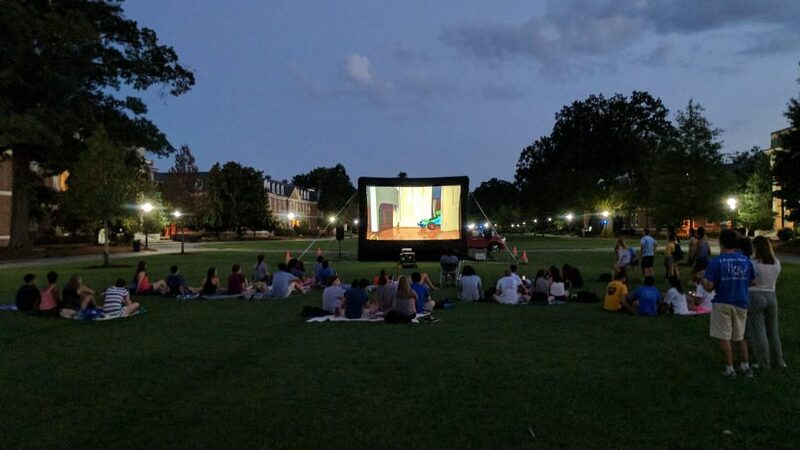 BRING the BIG SCREEN provides all the equipment and technical expertise needed for an exciting and fun filled outdoor movie, indoor presentation or any event that requires a projector screen and audio/video equipment. From intimate backyard parties to huge outdoor festivals, no event is too small or too large. Select from full service rental packages or do it yourself (equipment only) packages. We provide several to choose from to fit your event size and budget. Rent a movie theater package for indoor or outdoor venues. 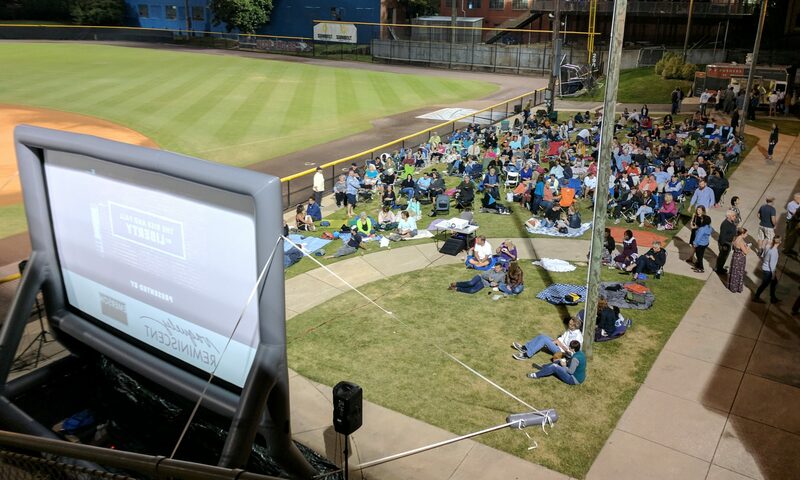 Watch a movie, live broadcast or play video games on the big screen. You can even rent a movie screen that floats on water. This is a fun and affordable way to entertain small and large groups of people. Both kids and adults love it. Join the growing number of people who have discovered this unique, fun and trendsetting way to entertain. Make your kids birthday party a night they will never forget. 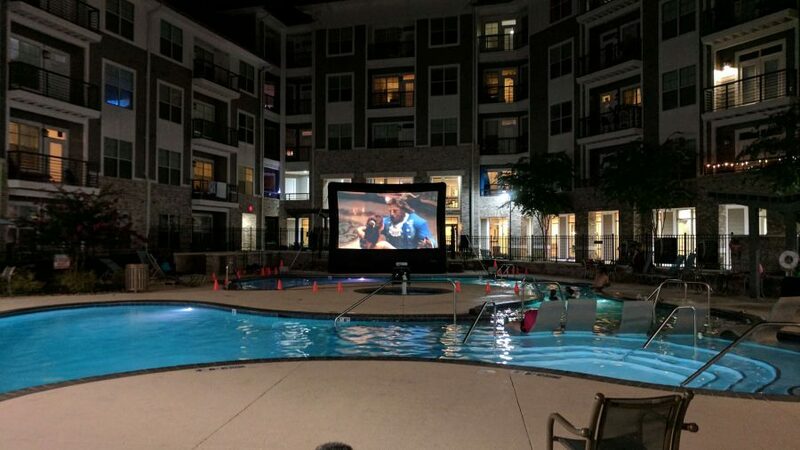 Have a “dive in” pool party, family movie night, video game party, or supersize “the big game” sport event. 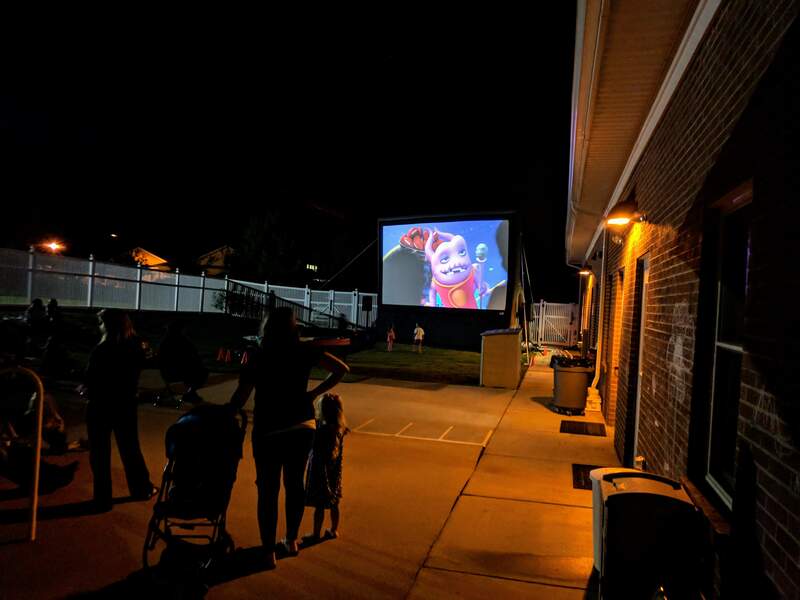 Bring people together with movies in the park, HOA parties, corporate events or church events. Enhance any outdoor event by ‘wowing’ with the magic of the big screen. It will be a fun and memorable night. You invest a lot of time and money into your event. Bring the Big Screen understand how important it is to you and is committed to providing reliable quality service at a competitive price. Check out our rates page for pricing information. 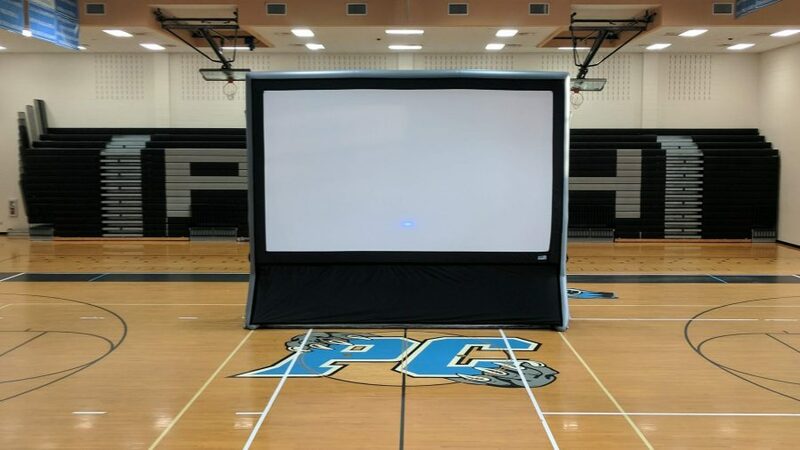 Ask for a free quote and let us BRING THE BIG SCREEN to your next party or event!